Note: Some 50 countries have banned asbestos, a killer fiber. Asbestos consumption is rising dramatically in India even as U.S. Senate passed Ban Asbestos in America Act on October 4, 2007 unanimously. Countries like Russia, Canada, Kazakhstan and Brazil continue to produce, trade and promote this ticking time bomb in India. The Russian Federation has also been found to be exporting asbestos industry waste to India. Research is showing asbestos epidemics across the globe even in countries where it is currently banned, as the consequence of past exposure. In a recent Canadian government paper from the federal Dept. 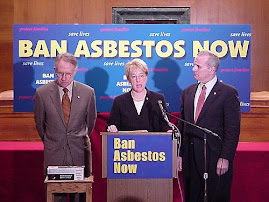 of Natural Resources promoting chrysotile asbestos as a blessing to people in poor countries and attacking Rotterdam, WHO, ILO and "worker groups with vested interests" as misguided and lacking objectivity about the safety of chrysotile asbestos. The report is a brilliant example of the politicization of science for commercial benefit. Below are two places where the report refers to India. Note:It is noteworthy that like India, Canada doesn't specifically track asbestos-related disease, nor are there any national foundations or associations devoted to the problem. Both the countries seem to be working at the behest of Russian government and asbestos industry. There is not much help out there for anyone affected by the carcinogen. OTTAWA - As debris rained down on scores of houses during last week's explosion at a propane plant in Toronto, no one was thinking about asbestos contamination. They are now - and critics are warning there is not much help out there for anyone affected by the carcinogen. Canada doesn't specifically track asbestos-related disease, nor are there any national foundations or associations devoted to the problem. Toronto parents and were outraged after asbestos from the explosion was found in a playground where children continued to play days after the incident. But many hope the incidents will expose the lack of government funding and resources available to Canadians. "I think if the Canadian public really knew the extent of harm that asbestos has caused, I think there would be an outrage over what the federal government is doing," said Jim Brophy, global asbestos expert. As the former director of the Occupational Health and Safety Clinics for Ontario Workers, Brophy says his group registered a new patient with an asbestos disease four out of five working days last year alone. "I cannot describe to you the public health epidemic that unfolded before us and is still happening," he said. The post-explosion asbestos contamination in Toronto is not an isolated incident, as the cancer-causing substance is continuously being uncovered across the country. Workers are currently removing chrysotile asbestos-the type still mined in Canada-from the Parliament buildings as part of a $1-billion renovation project. It is estimated there are still hundreds of thousands of homes throughout Canada still containing Zonolite insulation, a product found to be tainted with asbestos and identified as a health hazard by Health Canada in 2004. 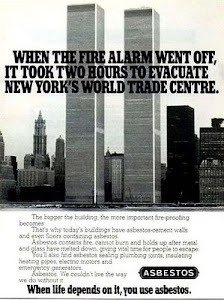 The flame retardant qualities of many forms of asbestos made it a popular choice of building material for decades. 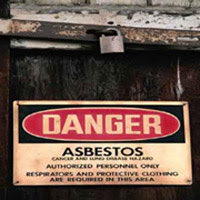 As a result, virtually all public buildings constructed prior to 1980 contain some form of asbestos. For years, the U.S. and much of Europe have monitored cases of asbestos-related illnesses, but there is no centralized system in Canada. "We're probably the only industrialized country not tracking the extent of the disease and its impact on our society," said Brophy. The Canadian Cancer Society says asbestos - including chrysotile - is associated with an increased risk of lung cancer and other diseases, but says it is not aware of any government funded resources. Health Canada insists on graphic health warnings on tobacco products to warn Canadians about the risks of smoking, but Alastair Sinclair, spokesman for Health Canada, confirmed the department is not involved with any funding for public resources associated with asbestos and related health risks. Support groups and public education resources are not easily found in Canada and some critics say they know why. Canada is the third largest exporter of chrysotile asbestos worldwide and has continuously blocked efforts by the UN to list chrysotile as a hazardous substance. Pat Martin, NDP MP and former asbestos miner, says the government's long-standing overseas promotion of asbestos is what's keeping the health risks under wraps. "Certainly the government will not support anything that may be viewed as critical of asbestos when they're the chief cheerleaders for the asbestos industry," said Martin. The Chrysolite Institute, an organization dedicated to promoting chrysotile asbestos use "under safe conditions", continues to receive money from the federal government. According to Martin, it is this kind of backward funding that is leaving Canadians in the dark about asbestos. "Our irrational affinity for asbestos has stalled diagnostics, research and advocacy for asbestos-related disease," he said. A U.N. Convention (the Rotterdam Convention) that protects developing countries from severely hazardous chemicals and pesticides is on its death bed due to obstruction by Canada. Canada has obstructed the Convention by refusing to allow chrysotile asbestos to be listed as a hazardous substance, even though the Convention’s expert scientific body has repeatedly called for its listing, pointing out that it meets every scientific and legal criterion in the Convention. Listing would mean that asbestos exporting countries, such as Canada, would have to obtain prior informed consent before they could export asbestos to developing countries. Canada has been the lead country to block the listing of asbestos by denying consensus with the support of Kyrgyzstan, Iran, India, Ukraine and Peru. 99% of asbestos exported around the world today is chrysotile asbestos. It is no more a secret that politicians in Canada, Russia and India are working in tandem with the chrysotile asbestos industry to willfully expose uninformed workers and consumers to killer fibers by cooking scientific and medical studies, said Gopal Krishna, Ban Asbestos Network of India (BANI). The expert committee’s recommendation to list chrysotile asbestos will be put forward one more time at a crucial Conference in Rome October 27-31. U.N. officials and many others fear that Canada will once more refuse to allow asbestos to be listed, causing a crisis for the survival of the Convention. 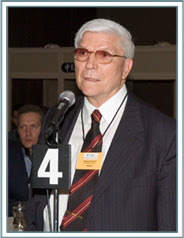 “This is a tragedy for public health, a victory for the asbestos lobby and an ignoble reflection on Canada, said Geoffrey Tweedale, joint author of Defending the Indefensible: The Global Asbestos Industry and Its Fight for Survival. “We call on the Canadian government to stop blocking the Convention and allow chrysotile asbestos to be listed,” said Fe de Leon, Researcher of the Canadian Environmental Law Association. 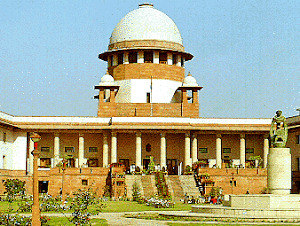 Chief Justice of India KG Balakrishnan has withdrawn himself from the Ghaziabad provident fund scam case, allegedly involving some UP judicial officers, certain judges of the Allahabad High Court and a Supreme Court judge. The CJI recused himself after the Indian chapter of Transparency International challenged his administrative decisions related to the scam probe. The corruption watchdog is seeking a "through and unfettered" probe by the CBI into the scam. BN Agrawal. The Ghaziabad Bar Association has filed the second case. Senior advocate Shanti Bhushan had on the last date pointed out on behalf of Transparency International that the CJI could not hear a petition challenging his own administrative decisions relating to the scam probe. Bhushan had said SC Secretary General VK Jain had written to Ghaziabad SSP that he should prepare a questionnaire for examining the Judges of the higher judiciary allegedly involved in the scam for prior vetting. The questionnaire would form the basis of the probe. Terming it as "unheard of", Bhushan had said there could not be different sets of procedures for judges and other people involved in a corruption case. The CJI had clarified that the petition did not challenge his administrative decision, inasmuch as its prayer related only to judicial officers (subordinate court judges) while his decision was with regard to Allahabad High Court Judges. He had made it clear that if the petitioner changed its prayer so as to mean the judges of the higher judiciary, he would not hear it. The prayer has since been changed. According to SC ruling in the Veeraswami case, an HC or SC judge cannot be proceeded against in a criminal case without the CJI's prior permission. In view of this ruling, the Ghaziabad SSP had sought the CJI's permission for probe against judges of the higher judiciary. Note: Massive exposure to asbestos in Bangladeshi,Pakistani and Indian ship-breaking yards is a matter of fact. But governments have turned a blind eye and have demonstrated unpardonable callousness towards these most vulnerable workers in the world. Kadamrasul / Bangladesh: Bangladeshi workers dismantling ships and recycling its parts say they know their jobs are dangerous, but they have no better options to feed their families. At least 10 workers were killed in mishaps and explosions on board ships while they were being dismantled over the past year, to raise the toll to more than 1,000 since 1996, police say. About 30,000 workers, only a few wearing boots and almost none with helmets, work in some 22 ship-breaking yards in Bangladesh to dismantle around 80 giant, out-of-service ocean-going vessels and oil-tankers annually. However, ship-breaking officials say the death rate was much higher during the initial stage of the Bangladesh shipbreaking industry in the early 1980s, and awareness, precautions and training have subsequently reduced casualties. As a precaution every scrapped oil tanker must sail to the yard from the port of origin with empty and open reservoirs, so lingering chemicals and residues get neutralized naturally through ventilation, said a ship-breaker, who declined to be named. “Besides accidents, shipbreaking workers are prone to many diseases including cancer, ulceration, sterility and deafness,” Akhtar Hossain Chowdhury, a teacher of dermatology in the Chittagong Medical College Hospital, said. “We risk our lives here only to support our families, because hazard-free regular employment is not easily available,” said Mohammad Malek, a ship-breaking worker at a yard at Kadamrasul, near the Chittagong port. “For every 12 hours of work contractors pay each of us 300 taka (Rs184)”, barely sufficient to meet daily needs, he said. The workers use primitive hammers, axes and acetylene flames to extract some 1.8 million tonnes (mt) of steel per annum, against Bangladesh’s needs of 3mt. The rest of its demand is met by imports. “As the industry is vital for us we have taken steps to reduce mishaps, by imparting training and creating awareness,” said A.K.M. Shafiqullah, director general of Bangladesh’s department of shipping. The department is the leading authority issuing permission for importing, beaching and dismantling scrapped ships. Bangladesh, which has no iron ore, prefers the metal from the ships as prices of steel billets rose to $1,000 (Rs42,000) a tonne recently in the world market, up 40% over the last year. Though ship-breaking and other hazardous work is banned in the West, firms there still send disabled ships to poor countries for scrapping and for recycling of parts. “For example, engines of scrapped ships are reimported by some western countries for reuse,” Kamaluddin Ahmed, owner of ship-breakers Arefin Enterprise, said. Bangladesh’s 800 steel re-rolling mills consume all the metal retrieved from scrapped ship to produce construction rods and roofing sheets, said Ahmed, also a vice-president of the Bangladesh Ship-breakers Association. Ship-breaking is the most dangerous among all recycling jobs in Bangladesh, including of batteries in which workers can receive serious acid burns, says Quamrul Islam Chowdhury, a noted Bangladeshi environmentalist. “They (Bangladeshis) take up the risky job, often knowing the deadly consequences, because they have no other way to beat abject poverty,” said Abul Momen, a columnist and a political and social analyst. He said the government should adopt a national policy to protect and develop the 1 billion taka a year industry as soon as possible. Similar sentiments came from Larry Maramis, United Nations Development Programme (UNDP) country director for Bangladesh. A senior official of the shipping ministry, who declined to be named, said the government would soon announce a policy to safeguard workers while boosting the industry.